Dry eyes. While this irritation seems like nothing more than a minor disruption, many Americans struggle with the discomfort and blurriness associated with having dry, red eyes. Beyond the daily annoyances, patients that elect not to seek out the help of a local eye doctor may find themselves dealing with additional problems. If you are dealing with dry eyes, our team of optometrists in Fresno are here and happy to help. For years, Signature Optometry has worked to provide the best results for all of our patients, delivering friendly, reliable services that help the entire family see the world in a better light. While our team is trained to provide a range of services to help you restore your sight, our dry eye clinic serves to help patients dealing with chronically dry eyes. Today, we’ll highlight what a few causes of dry eye are, as well as the long-term risks of living with dry eyes. If you’re ready to find an effective solution, be sure to contact Signature Optometry to learn about our LipiFlow treatments! Skin disease – Issues near or around your eyelids may be the cause for dry eyes. Medications – Certain medications can cause a reaction that causes your eyes to dry out. If this is the problem, we recommend going through your medications to find the culprit! Allergies – One common problem we see in the springtime is dry eye associated with allergies. Keep in mind, though, that this cause is different from others, as the body is releasing histamines as a response. Pregnancy – Growing a baby human requires a lot of vitamins and minerals, and expectant mothers commonly experience this problem due to hormonal changes. Post-surgery complications – After undergoing corrective eye surgery, some patients report dry eyes. Chemical contact – Your eyes are vulnerable to caustic elements such as chemicals, heat sources, and more. If your eyes come into contact with an unhealthy substance, we recommend seeking immediate medical attention! Smoke sources – Our state is dealing with one of the most tragic wildfires in history. Heavy levels of smoke can cause considerable eye irritation. Vitamin imbalances – Too much or too little of certain vitamins can cause your eyes to become dry. Damages from contacts – Wearing the wrong contacts, or using the correct ones for too long, can lead to a loss of sensation in the cornea. This problem may result in dry, irritated eyes. Eyes diseases – Problems such as lupus and rheumatoid arthritis can often be to blame for dry eye in certain patients. Keep in mind that other problems unrelated to your ocular health may result in dry eye (i.e. thyroid problems). Meibomian Gland Dysfunction – These glands are essential for secreting the oils and moisture needed for optimal eye health. If you experience continual dryness in the eyes, we recommend visiting our eye doctor in Fresno to learn more about MGD. When left untreated, dry eye can lead to a range of inconvenient symptoms. Patients who visit our local optometrists’ office often cite problems with redness, sticky eyelids, feelings of dryness or grittiness, and sensitivity or soreness. Ideally, these symptoms can be resolved with our amazing eye therapy and corrective services, resolving the matter quickly to keep your ocular health intact. Moisture is needed to keep your eyes clean and moisturized. If the right mixture of oils and water are not used, the body will be unable to perform these essential measures. Untreated dry eye can result in redness, swelling, and general inflammation of the cornea. Similarly to the unwanted effects of a sunburn, this condition (referred to as keratitis) can lead to increased risks of eye damage. In extreme cases, dry eye can result in scarring of the cornea, hampering vision. Conjunctivitis is also common for those with chronically dry eyes. Consisting of inflammation around the whites of the eyes, this condition is more mild, but will still cause considerable discomfort. If you are living with dry eyes, we recommend calling our optometrists in Fresno for an appointment. 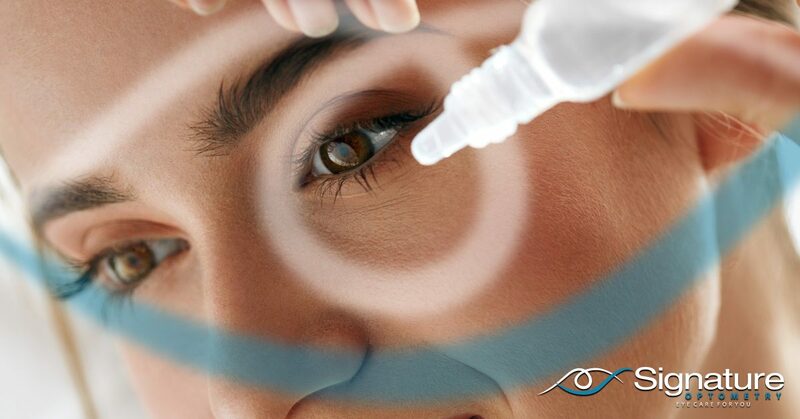 Our Dry Eye Clinic provides LipiFlow services to complete our services for patients, whether they are dealing with scratches, chemical burns, meibomian gland dysfunction, or any other issue. Be sure to call our eye doctors in Fresno for assistance, and be sure to ask us about our dry eye services!